Ten Facts About Grandmaster & Melle Mel’s “White Lines (Don’t Don’t Do It)” | It’s Friday And I Need To Dance! 1. Yes, the word “don’t” is repeated in the parenthetical. 2. Melle Mel was the most prominent rapper in Grandmaster Flash and the Furious Five. Grandmaster Flash was the DJ, not a rapper. 3. Though credited to Grandmaster & Melle Mel, Grandmaster Flash does not appear on “White Lines,” nor did he appear on the classic “The Message” (“it’s like a jungle sometimes / It makes me wonder how I keep from going under”). 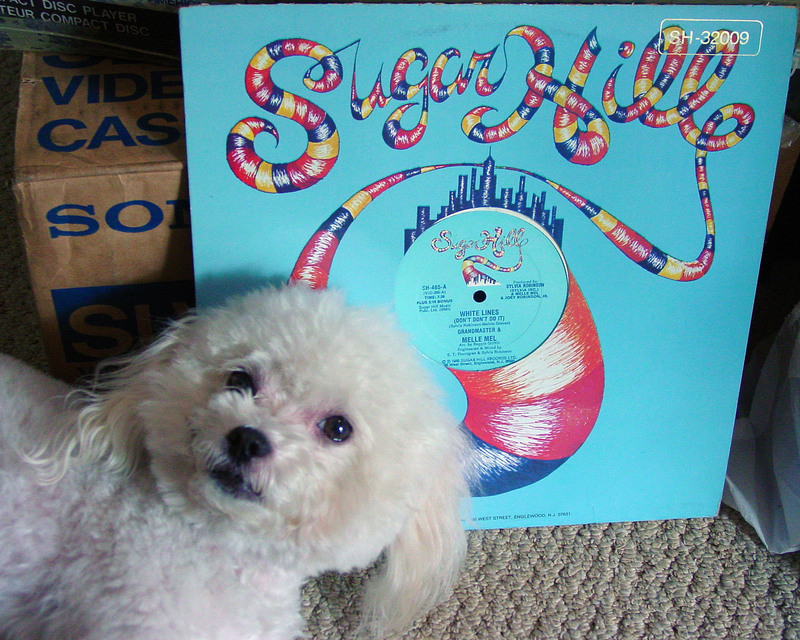 Forced out of the group that bore his name, Flash sued Melle Mel and their label, Sugarhill Records, over the use of his name to sell records, the result of which was the odd artist credit on the “White Lines” single. 4. Flash heard “White lines,” about the dangers of cocaine addiction, while on his way to buy crack. 5. Grandmaster Flash and Melle Mel reunited in 1987 at a charity concert hosted by Paul Simon. 7. The record credits Melle Mel and Sylvia Robinson as the song’s writers. Robinson was the head of Sugarhill Records. Previously, she had a hit in 1973 with “Pillow Talk,” a song she wrote for Al Green, who declined to record it, and as one-half of Mickey & Sylvia, she took the classic ”Love is Strange” to #11 in 1957. 8. The lyrics include a reference to car manufacturer John DeLorean (“A businessman is caught with 24 kilos”). In 1982 the FBI arrested DeLorean for purchasing 24 kilos of coke. The song compares his fate (“He’s out on bail and out of jail”) with that of an inner city youth (“A street kid gets arrested, gonna do some time. He got out three years from now just to commit more crime.”). 9. An unofficial music video for the song was directed by an NYU student named Spike Lee. It starred Laurence Fishburne, the actor who at that time was playing Cowboy Curtis on Pee-Wee’s Playhouse. 10. The record hit the top ten on the US dance chart in 1983. It kicks off Tunes du Jour’s weekly dance party.